Nintendo has revealed the box art for the upcoming The Legend of Zelda: A Link Between Worlds for the 3DS. The box art features a golden overtone with the legendary Master Sword stuck in a rock in the middle of a forest and a two-dimensional Link slapped on a crumbling stone wall. The box art also includes a logo for the Nintendo Network, though it is unclear what features of the Nintendo Network A Link Between Worlds will utilize. 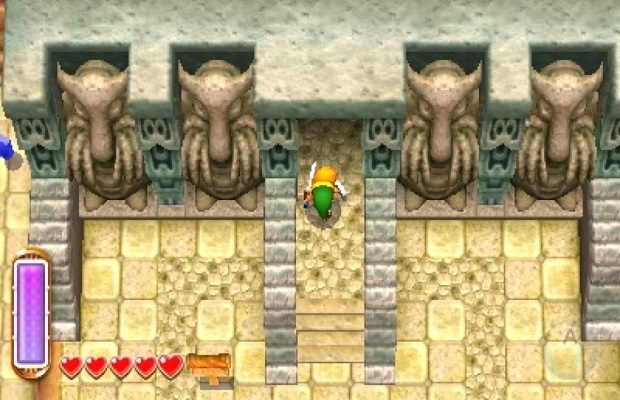 The Legend of Zelda: A Link Between Worlds will be available on Nov. 22 in North America for the Nintendo 3DS, which recently received a redesign and name-change of sorts. What do you think of the box art? Let us know what you think in the comments below or follow us on Twitter and like us on Facebook.